A have-a-go-hero and his trusty dog have been praised for their brave actions after chasing off housebreaking thugs in Lagmore. 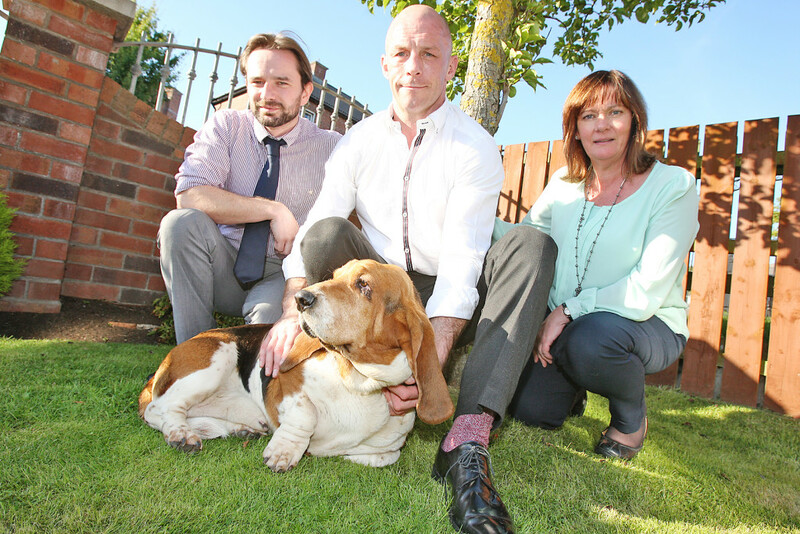 Local professional boxer Tommy Tolan told Daily Belfast how the criminals could have caused “much more serious damage” if it wasn’t for the barked warnings of his four-year-old Bassett hound Rossa who alerted him to the thieves breaking into a neighbour’s home. “Rossa really did save the day,” explained Tommy, “he started barking and barking in the early hours of last Wednesday morning which woke me up as he had seen these guys acting suspiciously at my neigbour’s house. It was around 3am and I got up and saw what was going on as my neighbour lives facing me. It is understood the two males escaped with a set of car keys from the property but Tommy’s intervention meant the vehicle wasn’t taken. Local Sinn Féin Councillor David Bell said he was shocked and disgusted at the actions of the two men. “The family have been been left shaken by this ordeal and it shows the ruthless nature of these individuals who targeted a house where a lady is recovering from a serious illness and there is a new born child sleeping. The PSNI said they are appealing for anyone with information about the incident to contact them at Woodbourne station on the non-emergency number 101. Information about crime can also be passed anonymously to the Crimestoppers charity on 0800 555 111.